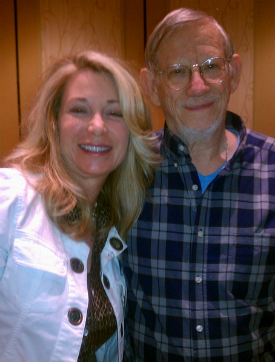 Last week I was fortunate to attend the United Astrology Conference held in New Orleans. The UAC is no ordinary convention, imagine a group of over 2000 people who spend most of their waking hours tuned into out space! Bohemian is an understatement, but with that comes a unique intelligence, one that does not rely on the status quo but reaches out instead to the universal order of evolution and the influence of planetary movements. Since it’s inception in 1986, the UAC has been the largest astrological conference globally, bringing the most talented astrologers from around the world to share their knowledge and further the growth of the astrological community. What I find very alarming is the lack of young astrologers to replace the aging group of authors and brilliant astrologers in 60’s and up, the outcrop from the 50’s and 60’s when “new age” became the theme. It seems that during the during the decade of “experimentation” it was cool to be a starving astrologer, scrimping by on astrological readings here and there, hanging out with friends contemplating the dawn of a new age. Hopefully with the recent free astrology apps (astro.com and iTime capsule for iphones) on cell phones more young people will study and learn the art and bring astrology in the west to a new height. My focus is financial astrology and the UAC is the place to find the brightest minds and authors for that category. This year I had an opportunity to attend workshops and connect with some of the brightest and seasoned financial astrologers including; Claude Weiss, Bill Meridian, Arch Crawford, Grace Morris, Ray Merriman, and others. I met with Arch Crawford, who has published Crawford Perspectives for 34 years and was named “Wall Streets best known astrologer” By Baron’s, to compare our thoughts on the future and to follow-up on some important personal ties, I was introduced to astrology by a very close personal friend of Arch’s and our approach to astrology is very similar. We both hold the same view for a more severe economic downturn in 2014. For the short term, oddly, there is no consensus among the famous financial astrologers! For the long term everyone agrees we are going to have serious changes. Beginning In June 2012 and into 2015 we will have the first of 7 exact squares between Uranus and Pluto, which has not happened since the Great Depression, and will certainly bring a tipping point where people will be forced to take a stand, one way or the other because Pluto is never lukewarm. If you are living and breathing, the energy of that square will land somewhere in your life and a choice, or stand, will have to be made one way or the other. Claude Weiss uses a chart for the United States with an Ascendant degree of 7 Sagittarius. The opposite degree on the Descendant would be 7 Gemini. The more established Sibly chart uses 13 degrees on the Ascendant. Currently Venus is retrograde in Gemini and will pass across the face of the sun (Northern hemisphere), which has not occurred since the 1760’s, and station at 7 degrees Gemini at the end of June. Claude’s view is the Venus retrograde and occultation is significant and will cause an economic turning point. I agree with Claude, although he did not say specifically if the shift would be down. I believe we will see a “flip” in the current power structure where the elite will suffer losses in areas of corruption while the markets and the mainstream pick up the pieces and carry on. Bill Meridian has written several books on cycles research where he focuses on first trade astrology charts along side technical analysis. Bill did not commit to a direction for the markets instead focusing on the astrology charts for companies that could be impacted by earnings and transits of Jupiter to the Midheaven. He illustrated Amylin (AMLN) a company that I had recently included as a trade recommendation for my subscribers. We had a recommended long position in Astrology Traders just prior to the Bristol Myers Squibb (BMY) buyout offer in March that produced a quick 52% gain. Bill noted that Jupiter will be making a pass to the line of the Midheaven (the corporate and leadership status of the company) which could bring another buyout attempt in June. Arch Crawford uses a similar style of financial astrology to my own. He likes to use planetary patterns and historical insights to do his analysis along with his own proprietary trend analysis. Arch shares my view for the short term market direction which I wrote about here in my article “A Look At Financials For May 3, 2012.” Arch is very passionate about the destiny of America and has a strong devotion to the principles of the founding fathers. There is a planetary line-up in 2014 that scares the dickens out of him. In April 2014 there will be a grand square with Pluto, Uranus, Mars, and Jupiter that will impact the U.S.A. chart very severely. Grace Morris in my view was the most optimistic. She called the hype around 2012 and the Pluto/Uranus square scare tactics. She did acknowledge that we could have some setbacks shortly that she views as strong buying opportunities for some sectors when Jupiter enters Gemini in June. I agree with Grace, we could have a strong move up in certain sectors. I have noted in some of my articles that Neptune is trine Venus in the U.S. chart and even though there are some very harsh transits, the trine with Neptune could bring a positive trend in the markets that may seem strange compared to the bad economic news and more foreclosures, although I have noted that there could be another potential setback to the financials in August that could be disruptive for the markets with more volatility similar to 2011. Astrology is an art and each person has their own style and signature to their interpretation. One thing is certain and that is astrology does influence human behavior. Determining what that behavior will be, has all of us astrologers turning our heads sideways to the heavens! The following is by Karen Starich, who uses astrology to forecast events in the financial markets. Astrology Traders provides specific dates and in-depth analysis of future events for the financial markets through weekly updates, trade alerts, and educational webinars. Market Astrology:Can Facebook Bailout California? You sure nailed the TLT buy. It was up over 3 points today. Can you send me a free sample issue of yours, so i will decide to subscribe to your news letter. Can i pay it monthly,instead of all in once?.